“Peace is not the absence of war but the absence of fear, presence of justice”. In 2012 Dr. Franklin was inducted into the Canadian Science and Engineering Hall of Fame, located in Ottawa and co-hosted by Ursula Franklin Academy in Toronto. 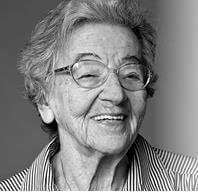 In 2014 Ursula Franklin was recognized by Status of Women Canada ~ “Women Pioneers: Inspiring Change Through Ongoing Leadership”. Dr. Franklin’s life, achievements and numerous contributions to our world were publicly honoured at a memorial held at Ursula Franklin Academy on September 29, 2016.